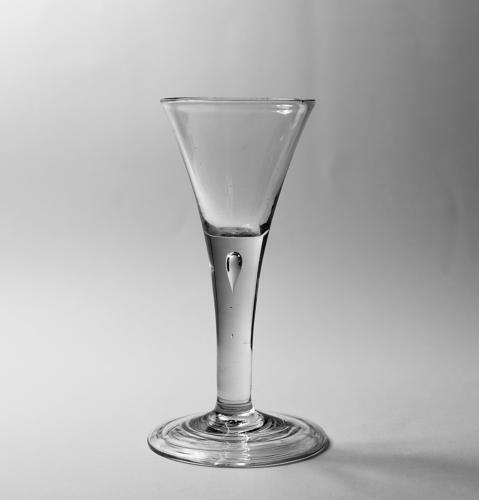 Plain stem drawn trumpet wine glass with air tear and conical folded foot. English C1750. Note: This is a particularly nice well made glass.